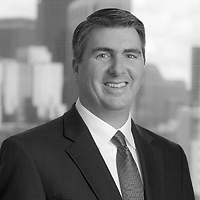 John G. Loughnane, a partner in Nutter’s Business Department, analyzed the recent decision by the Bankruptcy Appellate Panel (BAP) for the First Circuit in Mission Product Holdings Inc. v. Tempnology LLC (In re Tempnology LLC) in ABI Journal. The BAP held that a debtor/licensor’s rejection under § 365 of the Bankruptcy Code of a trademark license agreement did not “vaporize” the rights of the nondebtor licensee. In the article, “Trademarks and Bankruptcy: Mission to Harmonize Continues,” John notes that the BAP’s decision is important because it adopted the reasoning of Sunbeam Products Inc. v. Chicago American Manufacturing LLC, which held that rejection is a breach of contract but does not terminate a trademark license or strip the nondebtor licensee of its post-breach rights under applicable nonbankruptcy law. John points out that Tempnology is an important decision not only for bankruptcy lawyers but also for IP and transactional lawyers. According to John, the decision highlights the need, at the outset of a licensing transaction, for parties to negotiate and clearly memorialize their rights and obligations in the event of a breach by the other party. Clear drafting is always important, but it takes on added significance when bankruptcy law leaves parties to their nonbankruptcy rights.